The UN’s Sustainable Development Goals: Daunting reminders of the long way that we still need to go on our way to sustainable development, but also indicators of how far we have already come. With this project, the CSCP, in collaboration with the United Nations Staff College (UNSSC), took one further step on the way. 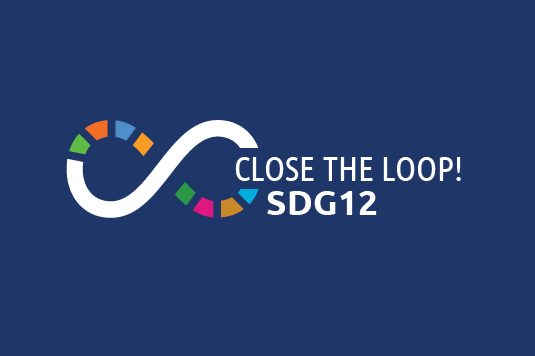 Close the Loop!, an interactive online course on sustainable consumption and production to advance SDG12, is the product of this joint project. Guided by the conviction that SDG12 (“Enabling sustainable consumption and production patterns”) stands at the heart of our transition to sustainable development, the course built on long-standing experience in the SCP field. Over the course of six weeks, participants learned to identify the key areas of SCP and their relevance to sustainable development, analysed practices that are relevant for action planning, embedded sustainable lifestyles and consumption patterns into the overall 2030 agenda, met different tools and indicators for SCP and developed concrete actions towards SDG12. The course was open to UN Staff, policy makers, entrepreneurs, innovators, civil society and interested consumers. Rather than giving a cut and dry introduction to SCP and SDG12, the course supported the individual participant in their professional and personal SCP activities. It provided a hands-on and experimental approach. Besides a number of expert practitioners sharing their experience and insights, course participants part-took in extensive knowledge application to real-life and training scenarios, as well as collaborative group work with peers. Gamification elements or „serious fun“ were designed to enhance experiential learning processes.